Draven Rodriguez, a high school student at the Schenectady High School in Schenectady, New York, wants the above photo to be used as his official high school yearbook photo. And to get his wish, he has set up an online petition to do so. The cat’s name is Mr. Bigglesworth. So far, as far as we know, has not agreed to be in the photo, though. 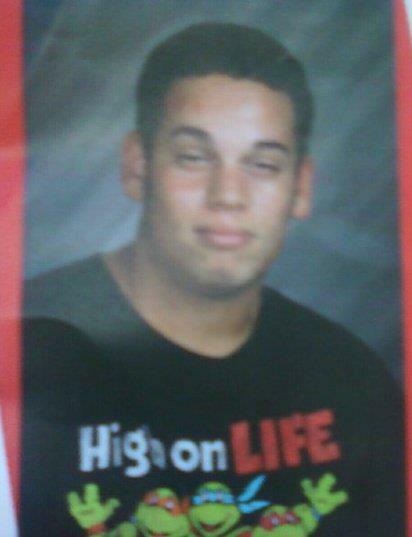 Yep, this guy is certainly high on life. Or maybe something else, too. 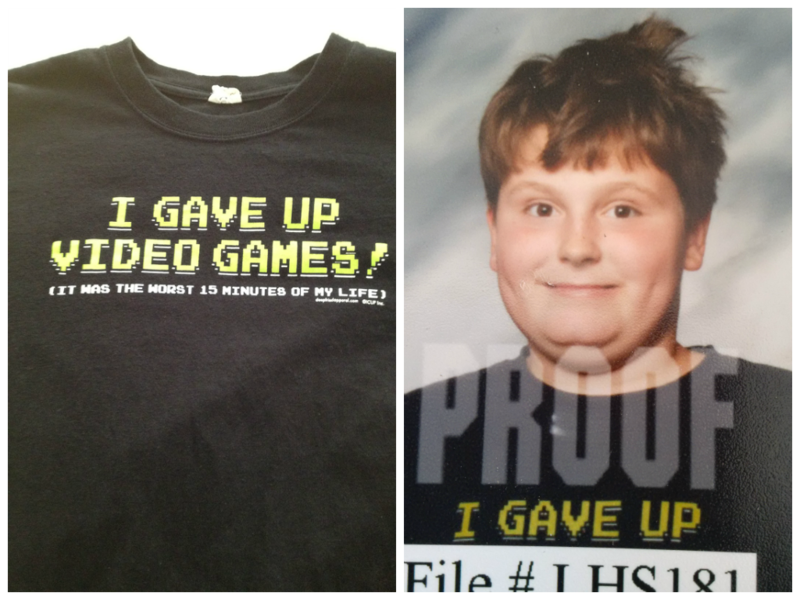 Well, he thought that he should wear this shirt on picture day. He certainly gave up, after all. I think this kid’s mother mistook picture day for pajama day. 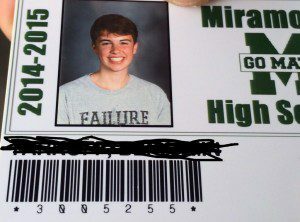 I think he wore the wrong shirt on picture day. 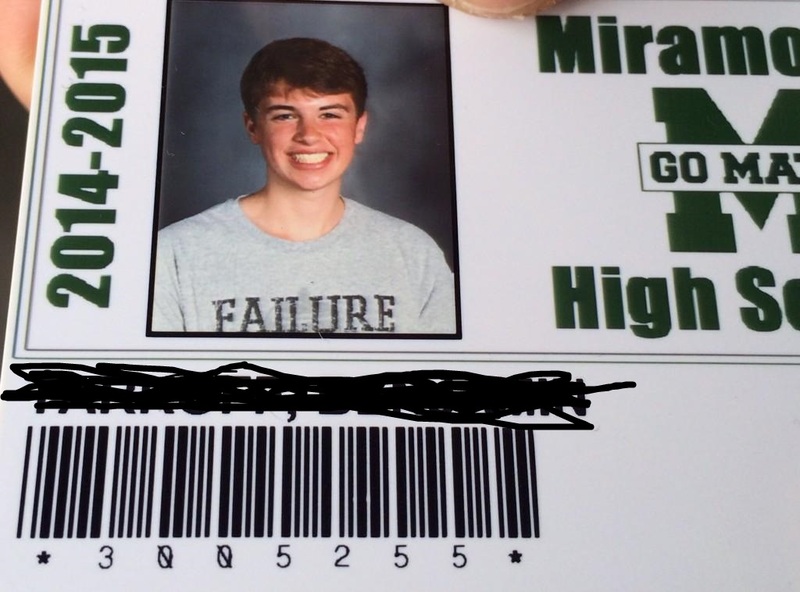 This bad school photo is from a user submission. 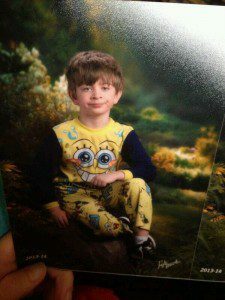 We’re not sure exactly why this necessarily is a bad school photo, it just seems that way to us. 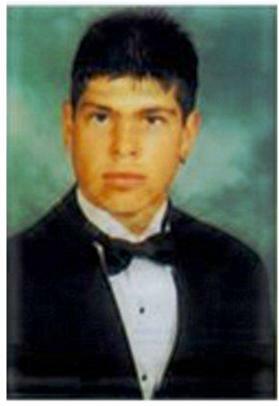 Maybe it’s his lack of a toothy smile, or the fact that he’s wearing a tuxedo in his school photo. Nonetheless, we could also point out his spiked hair. 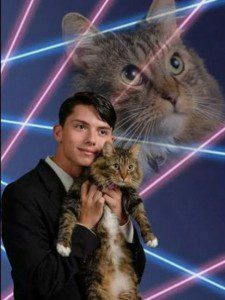 If you have a bad school photo to submit to us, feel free to send it our way. If it’s bad enough, we’ll post it. Our contact info is on the right sidebar.